In the spring of 1940, the French Army appeared invincible. They awaited the expected German offensive with great confidence, ready to repel their ancient foes and overwhelm them in 1941 with a massive wave of new armored divisions. Instead it was the German panzers that did the overwhelming. Despite heroic efforts in which over 90,000 French soldiers lost their lives, within six weeks France had fallen. 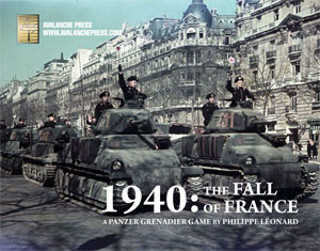 1940: The Fall of France is a stand-alone game in the Panzer Grenadier series: You do not need any other game in the series to play any of the 50 scenarios. 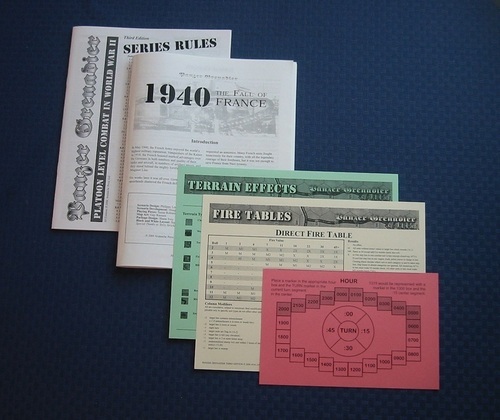 Design is by wargame veteran Philippe Leonard of Belgium, who has crafted scenarios involving the French Army on the attack and on the defense, with units ranging from the elite Foreign Legion and Coloniale to the pitiful second-line reserves. Pieces include the huge array of French armor: S35 cavalry tanks, B1-bis heavy tanks, FT17, R35, R40, H39. H35 and FCM 36 light tanks. Panhard, AMR33, P16 and AMR35 armored cars and reconnaissance tanks. Plus the bizarre C2 multi-turreted heavy tank. Plus many types of troops and support weapons, from motorcycle troops and horsed cavalry through the awesome 155mm GPF rifle. The Germans receive their full set of panzers, from the puny PzKw I through the PzKw IIIE and 38t. There are vehicles not seen before in the Panzer Grenadier series like the SiG33 assault gun, and a set of pieces for Infantry Regiment Grossdeutschland in their own colors. 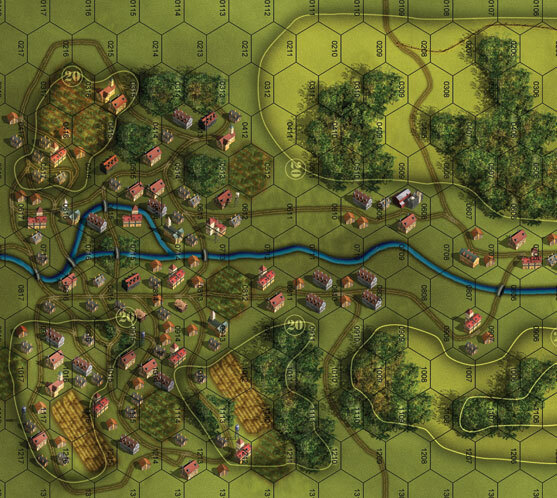 There are eight semi-rigid mapboards, the same type as those found in Eastern Front, created by Guy Riessen, who crafted the widely praised maps for Elsenborn Ridge. 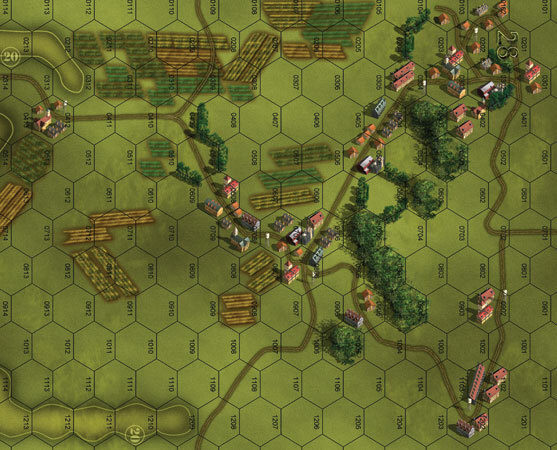 Panzer Grenadier: Elsenborn Ridge New Ed.